Nope Sound Blocker and Webcam Cover is a solution to the modern world invasion to one’s privacy. Cyber bullying and co-operate espionage are some of the ways in which individuals and companies are getting into trouble for the information they leaked. Important files and information stolen can worth billions and sometimes even trigger the red alert of a whole nation. Therefore, as part of the cyber security, millions if not billions of dollars have been invested each year to protect the important information in the virtual world. As for us, an average citizen, are also aware of these problems and will have our webcam taped, microphone sealed and look after your credit card information every time after a transaction online. But, here is a better one. Nope sound blocker and web cam cover help in reducing the risks of this thing from happening or even taking place at all. 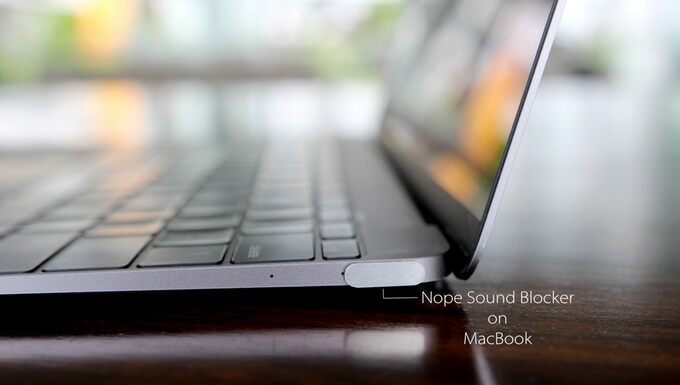 The Nope Sound Blocker features a modern and sleek appearance. It is made to fit into any device with a standard 3.5mm jack. The blocker adds an aesthetic sense to which any devices your plug-in. In terms of functionality, Nope Blocker forced your devices (phones, tablet, laptop, etc.) to install a mic which turning off your device’s microphone, and therefore blocking out the receiving sound. For increased portability, it fits perfectly into a key chain holder which could hold two of them. The webcam cover, on the other hand, is good for any standard webcam on your laptops, desktops, tablets and cell phones. The aluminum cover can be installed easily on the device’s outer casing and the polymer sheet for the slider definitely does a much better job than your tape. However, they only have 2 colors (silver or black) option for the moment. Customers who have used this device are quite fond of it and also have some clarifications in which some parts that they wish to have improved. 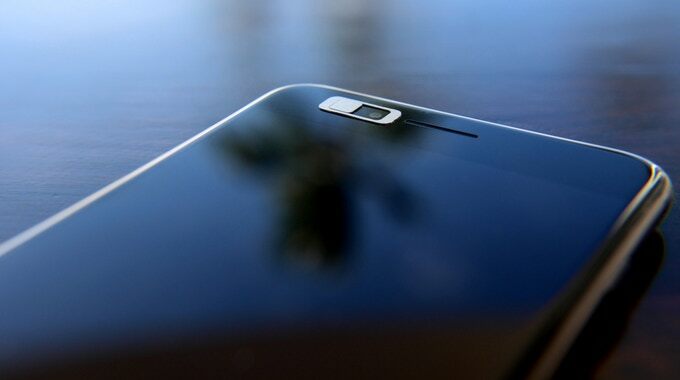 Some of the customers like Adam Andrzej Jaworski seem to be in support of the project and defend the creator of this device from fellow users. Others have raised concerns with shipping issues such as Lorenzo, who has been some questions regarding the shipping costs. You can learn more feedback from here. In general, the customer support feedback is above average considering that there are repetitive questions and issues. The one responsible for the feedback is doing a great job at trying to be moderate in their answers. The sound blocker and cam cover are fairly common in the market. But often, the market offers low-quality plastic isolator which neither looking good nor long lasting. There is a site called C-Slide which is a drop-shipping affiliate site that focuses on selling web camera slides. They have a wide range of product in size, shape, and color. However, their products are expensive compared to the ones designed and created by Nope. Alternatively, since we are also a discount-finding site, you can try to go to our home page www.lildeal.com and type-in “sound blocker” or “webcam cover” where you will find lots of related product. Nonetheless, as mentioned earlier, there is a steady flow of question/answer from the customers to the creator in trying to get their concerns attended to. They also have a trend to show how certain changes were implemented or will be implemented in the future taking into perspective the concerns of the customers. So for the case of having privacy blockers, then I would definitely recommend Nope. Their products have a trend of meeting the customer’s requirements and there are constant changes taking place. This will ensure customer satisfaction and the product rating will even be higher. 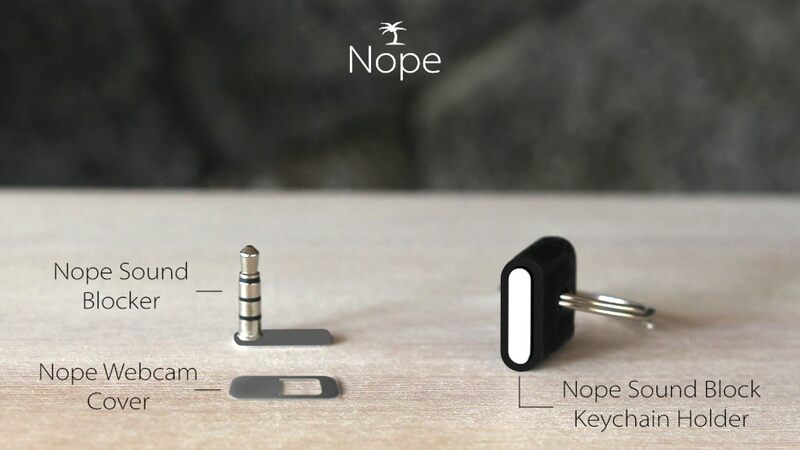 Nope Blocker is now available on Kickstarter starts at the price of only $10. Check the link below for latest pricing and availability.